"It’s amazing to see how the program has grown and evolved in just three quick years. We’re looking forward to the next million." CHICAGO--(BUSINESS WIRE)--Today, wellness and rewards program HumanaVitality celebrates exceeding the three million member mark. HumanaVitality, which launched in July of 2011, motivates individuals and families to make healthier choices by rewarding them for activity like preventative screenings, exercising or positive lifestyle changes, for example smoking cessation. Savings on healthy foods: HumanaVitality and Walmart came together to encourage better eating habits with savings on healthier foods. This first-of-its-kind program offers HumanaVitality members who shop at Walmart a 5-10% savings on products that qualify for Walmart’s Great For You label , including fresh fruits, vegetables and low-fat dairy. Medicare offerings: HumanaVitality extended the wellness program to more than 800,000 Humana Medicare Advantage, Humana Medicare Advantage Prescription Drug Plan and Humana Medicare Supplement members in select plans in select markets. Using measurable data and health assessment results, HumanaVitality creates unique goals and a personalized pathway of activities for each member. Members earn Vitality Points™ for activities such as preventive screenings, health education courses, verified fitness activities and weight loss. Members receive a Vitality Buck for every Vitality Point they earn, which can be redeemed in the HumanaVitality® Mall for a wide range of items including movie tickets, music downloads, electronics and gift cards. 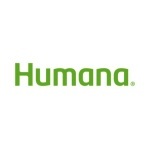 HumanaVitality® is a joint venture between Humana Inc. (NYSE: HUM) and Discovery Holdings, Ltd. Humana partnered with Discovery because of its 14 years of worldwide experience using behavioral, clinical and actuarial science to motivate individuals to make healthier choices. By integrating rewards with healthy behaviors, HumanaVitality provides the tools and support necessary to help Humana members live healthier lives and furthers Humana’s dream to help people achieve lifelong well-being. For more information about HumanaVitality, please visit www.humanavitality.com. HumanaVitality®, headquartered in Chicago, Ill., is a joint venture between Humana Inc. and Discovery Holdings, Ltd. Humana partnered with Discovery because of its 14 years of worldwide experience using behavioral, clinical and actuarial science to motivate individuals to make healthier choices. By integrating rewards with healthy behaviors, HumanaVitality provides the tools and support necessary to help Humana members live healthier lives and furthers Humana’s Dream to Help People Achieve Lifelong Well-BeingSM. HumanaVitality has more than 3 million members who are enhancing their health and wellness through a comprehensive integrated approach to lifestyle improvement. For more information about HumanaVitality, please visit the company’s website at www.humanavitality.com. You can also find us on Facebook: http://facebook.com/humanavitality, Twitter: @HumanaVitality, Pinterest: http://pinterest.com/humanavitality, Tumblr: http://humanavitality.tumblr.com, and Google+: HumanaVitality.